I love fall, but I love even more when the learning activities we do in my classroom can connect to one another in a meaningful way! We have been working on number identification, counting, and also reading number words. First, we practiced reading number words with our Pumpkin Count emergent reader. 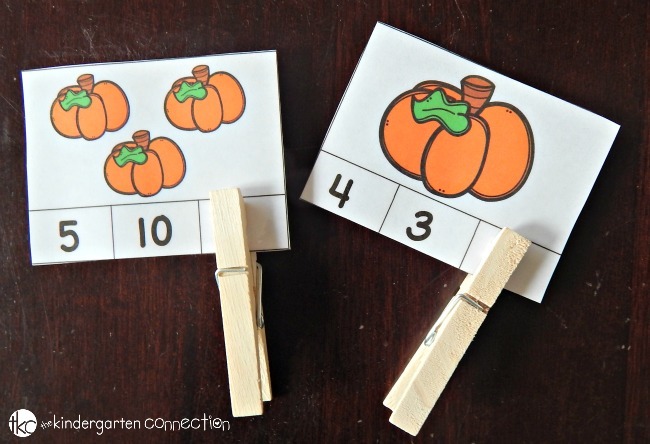 Now, we will keep working on those numbers and words, but with pumpkin counting cards instead! To prepare the counting cards, I print them out and laminate them. I sometimes use cardstock if I am using the school laminator for class activities. If I use my home laminator and lamination sheets (they are so much better!! ), I just use plain paper. 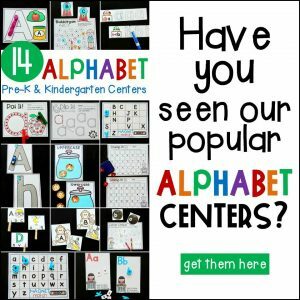 There are two sets of counting cards- one with numerals and one with number words. These make them great for differentiating for your students while still working on the same activity. 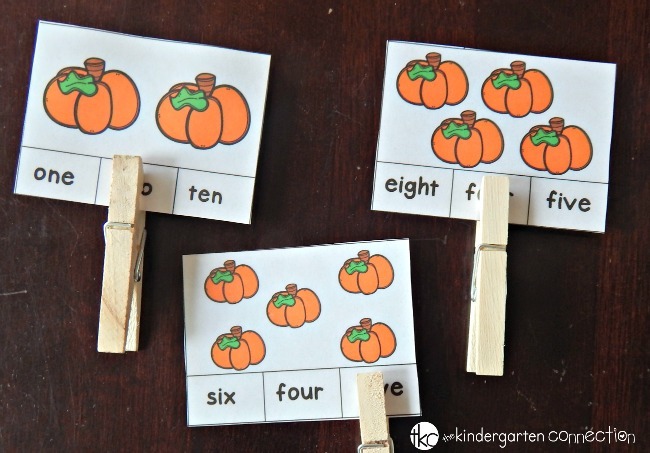 Students count the pumpkins on the card, and then use a clothespin to clip the correct number or number word. Clothespin activities are great for developing strength in writing muscles! I put the cards and clothespins in one of our math bins for use during math workshop time or in small groups. 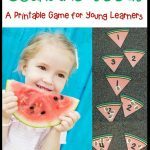 I put both the numbers and number words in there at the same time, but you could decide if you want your students to work on both, or focus on just one set at a time. 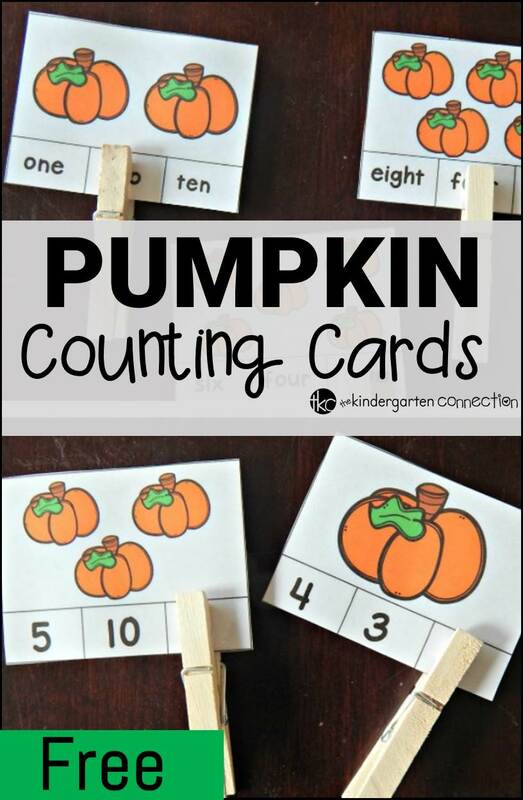 You can grab your own set of the pumpkin counting cards by clicking the yellow button below. 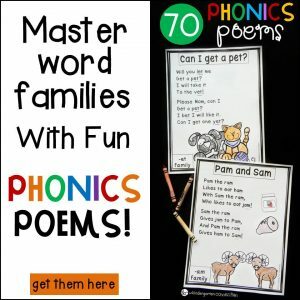 Then, for even more clip card fun, check out the clip cards for math and literacy that will last the entire year! For more pumpkin activities, check out how we decorate mini pumpkins, then download our free pumpkin number mats and fall printables! Thanks for sharing such an adorable freebie! I love clip cards because it is great for fine motor skills practice, and academic practice in one sitting. Thank you so much for creating and sharing your work! 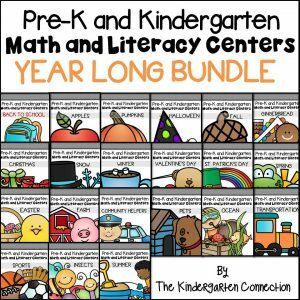 I will be using it for my kindergarten math center. That’s so wonderful to hear, Joan! 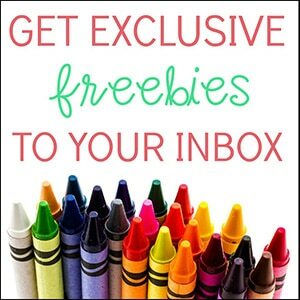 Thank you, enjoy! I can’t thank you enough..all the way from the Middle East! Oh Wow! We are so happy to hear that you are enjoying our activities. Thanks for letting us know!